On this bloom day I am going to focus on the most exciting bloom in my garden, the one that I catch passerby snapping photos of on their phones. On May 1st I noticed that my Dasylirion texanum was starting to form a bloom spike. I didn't even realize that they bloom! I planted it in May of 2012, when it was just a wee thing. I got it at the Rare Plant Research sale. It's sited in a sharp-draining gravel berm in full sun, facing dead south. 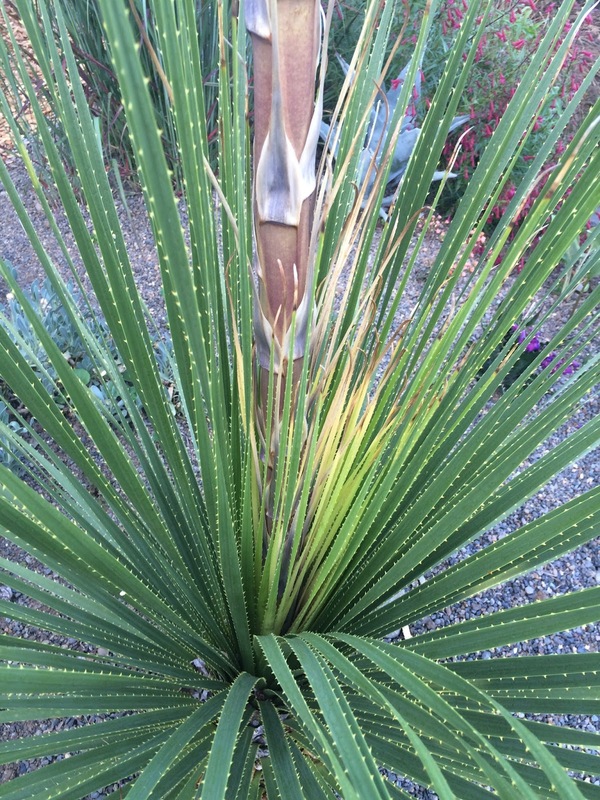 Dasylirion is polycarpic so, unlike agave, it should be able to survive after blooming. Reports on the internet are sparse but it seems these can bloom every four years or so. Lance at Garden Riots reports that he has lost dasylirion after blooming, so my fingers are crossed. 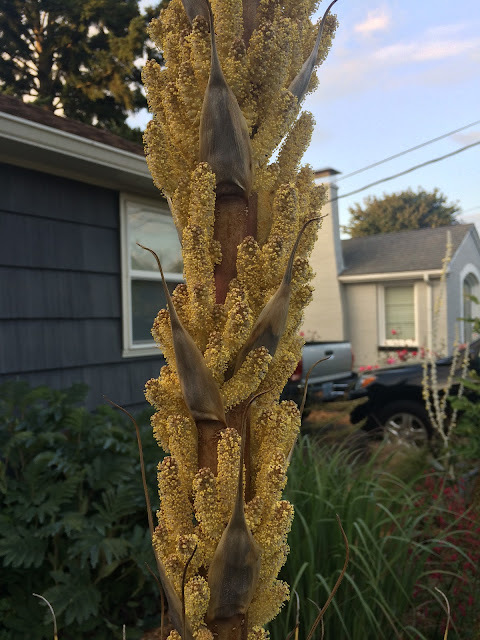 This is probably my very favorite plant in my garden and I'd be so bummed if I had to replace it. 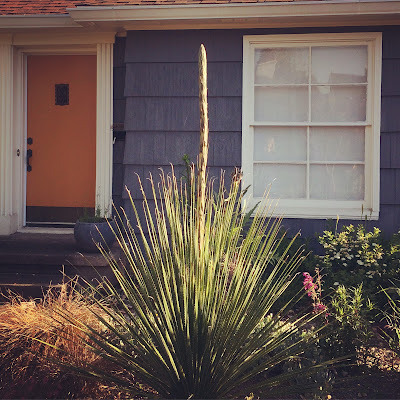 Here we are on May 19th, two and a half weeks after I noticed the bloom stalk. It grew quickly, adding noticeable height on a daily basis. On June 5th the blooms began to emerge. 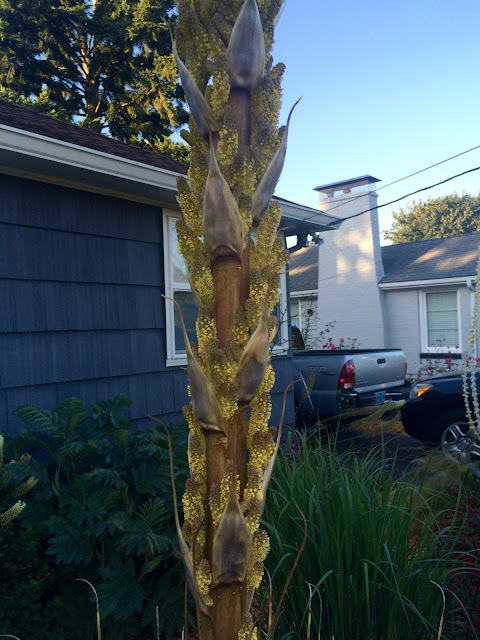 And June 15th, about six weeks after I first noticed the bloom spike. The bloom spike topped out at just over 12' from the base of the plant. The base of the plant is showing some yellowing, which I hope is normal and not a sign of the plant dying. The hum of the bees covering this thing is audible from the driveway, which is pretty cool. Happy bloom day! As always, a big thanks to Carol, our host at May Dreams Gardens. The winner of the ANLD tour ticket! Win a ticket to the June 18th ANLD Garden Tour!